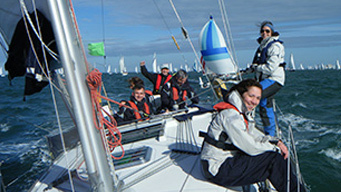 (Sorry Event Now Full) We are offering Just 6 crew berths in the Rolex Fastnet Yacht Race Campaign to the lucky few that want to take part in this renowned and challenging 608 mile yacht sailing race event from Cowes around the Fastnet Rock (off southern Ireland) and finishing in Plymouth – all taken aboard a Beneteau 40.7 race yacht. 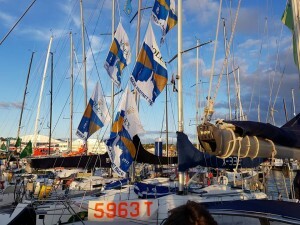 The Fastnet Yacht Race has been an established fixture on the offshore racing circuit since 1926 and runs every 2 years. It is among the top 3 offshore races in the world. 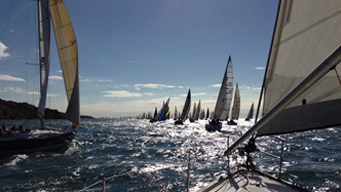 The race attracts around 300 of the world’s best racing yachts and is organised by the RORC. 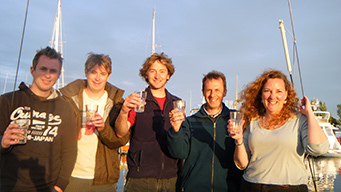 We do need to emphasise that this is not just a one-off race – when you take part in this event you are buying into a complete offshore yacht race training campaign (with over 1,128 miles of offshore racing) with training starting in February 2019 as part of a well oiled team of only 8 members including the Skipper and Watch Leader. 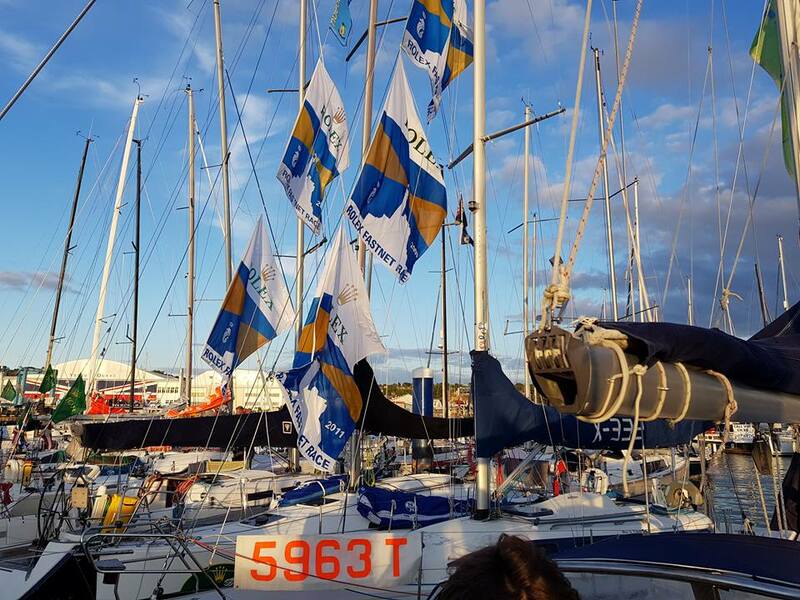 With these small numbers of only 8 crew you are not just used as ‘rail weight’ on this boat – you are totally involved in all aspects including the helming. RORC Qualifying Races: At least 50% of the crew and Skipper are required to have raced at least 300 miles on offshore races RORC. 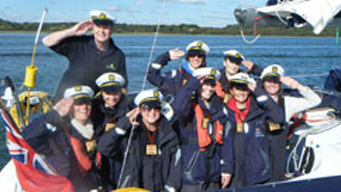 Also 30% of the crew are required to have completed the ISAF safety training course. Most training and the pre-event races take place at the weekends but you will probably need to take 6 days of holiday in addition to these weekends to complete this pre-event training and racing. You will also need to allocate a week for the actual race itself (which hopefully will take about 5 days plus the delivery back to Solent). You do not need to be a race hardened veteran to take part in this campaign. 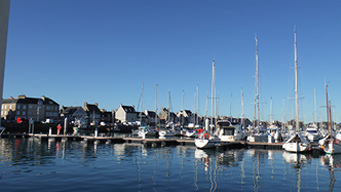 However if you have had some experience of yacht sailing (say Day Skipper level or above) that would be useful as you would understand some of what would be required from you as a team player when living aboard. With such a small crew we need everyone to be involved and to muck in. However, if you are a complete beginner and are ultra keen – speak to us, or better still meet us and we can assess and direct you in the right manner befitting your attitude. 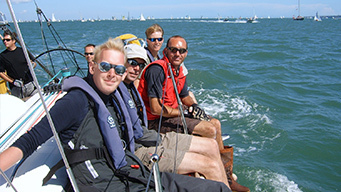 As we believe in teamwork for a challenging race such as this, we have developed a campaign which includes a 2 practical training weekends, 1 theoretical training weekend, 3 qualifying RORC races and the Fastnet race (inc the return trip from Plymouth to Hamble). All dates to be confirmed once confirmed by RORC. For the Rolex Fastnet Race, the fleet starts off from the renowned Royal Yacht Squadron in Cowes, races out the Solent, along the South Coast of England, before crossing the often tempestuous Celtic Sea to round the Fastnet Rock off the South Western tip of Ireland. 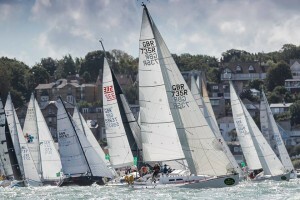 The fleet then returns on a reciprocal course to the finish off Plymouth. The race should take 5 to 6 days. This 607-mile race is a test of strategy and skill with challenging tidal currents and changeable weather. Intense and highly competitive, it is the ultimate offshore race combining tactics, decision making, strong teamwork and little sleep. 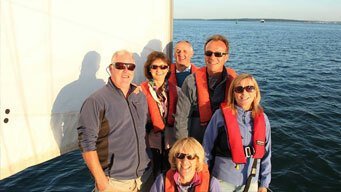 Want To Embrace the Fastnet Challenge?  We have a split payment plan to manage the finances. Deposit: £600 deposit to secure your place.